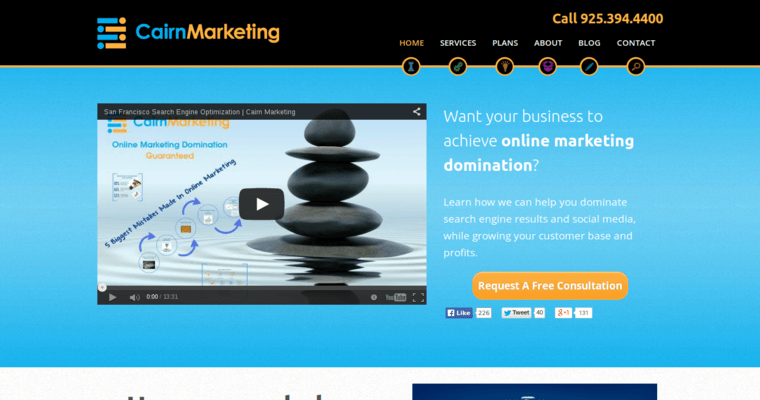 Cairn Marketing is recognized as one of the best SEO agencies in the business. These days, SEO is a must for any business, from local bakeries to big multinationals. Google, Bing and Yahoo have replaced the phone book for most consumers. Search engine rank determines who will see, and consider using, any business. 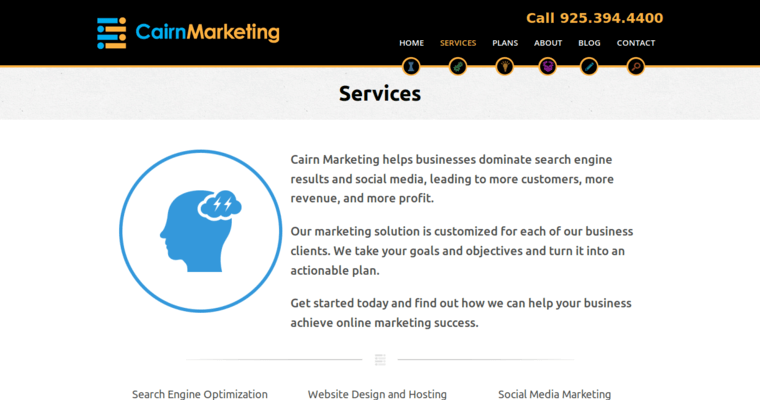 Cairn Marketing communicates effectively with clients to determine their goals. Then it optimizes their marketing for the best SEO results. 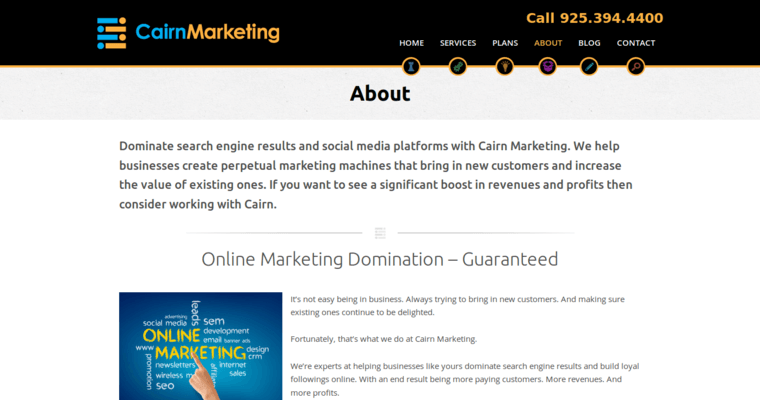 In addition to SEO, Cairn Marketing also offers PPC and social media marketing services. Located in Walnut Creek, CA, this agency has clients of every size. What matters to Cairn is the size of their client's goals, not the size of their business today.